Contemporary Japanese weddings are celebrated in a great variety of ways. Many contain traditional Japanese and Western elements side by side. 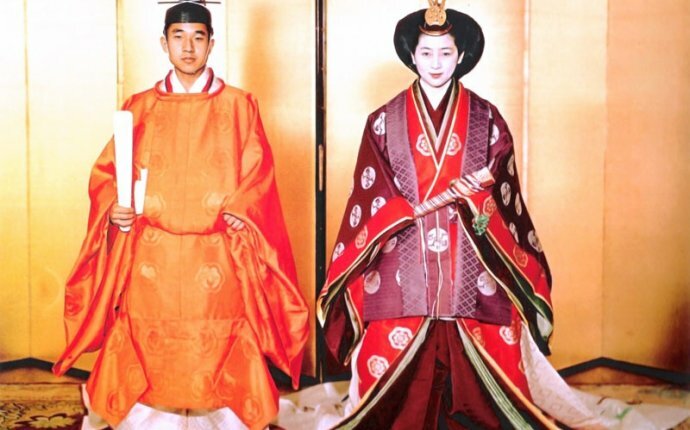 Traditionally, the religious wedding ceremony is held in Shinto style at a shrine. Nowadays, this shrine may be located inside the hotel where the festivities take place. A Shinto priest conducts the ceremony, which is visited by only the close family members of the couple. In the ceremony, the couple is purified, drinks sake, and the groom reads the words of commitment. At the end of the ceremony, symbolic offerings are given to the kami. The couple is dressed in traditional kimono. After the ceremony, the couple welcomes all the guests, and the reception party is held. 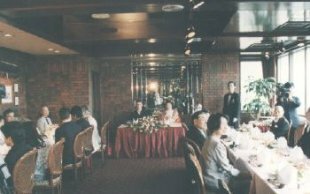 Usually the party is visited by about 20 to 200 guests among whom are relatives, friends, co-workers and bosses of the bride and groom. The party normally starts with the introductions of the bride and groom. Afterwards, a meal is held and several guests make contributions such as speeches, songs and the like. During the whole celebrations, the groom and especially the bride may change their dresses several times. At the very end of the party, the couple will make a speech to all the guests and thank everybody. During recent decades, Japanese couples have introduced many Western elements to Japanese weddings. Many brides chose to wear white, Christian style dresses, and some religious ceremonies are even held completely in Christian style at a Christian church even though the couple may not be Christian. The ritual of cake cutting, the exchange of rings and honeymoons are a few other very common adopted elements. Recently, the number of Japanese couples who hold their wedding ceremony outside of Japan has also increased. One reason for this phenomena is the fact that by marrying abroad, the honeymoon can be combined with the ceremony, and the number of guests and, therefore, the overall costs for the event can be reduced.